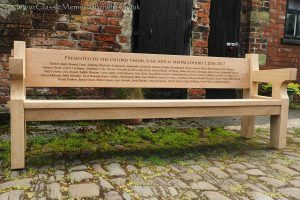 We offer a full memorial bench inscription service to our clients and take great care in the design and layout. 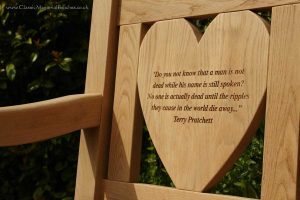 Carving deeply into the hardwood means that our beautiful carved inscriptions cast a lovely shadow and don’t require blackening. 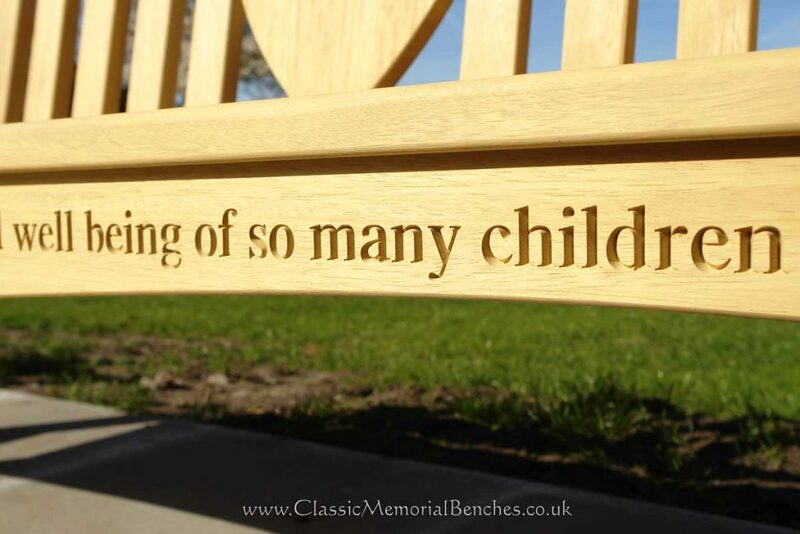 Our traditional script is Times Roman, either regular or in italics if you’d prefer a less formal appearance, although do please note that we are able to carve any character style you wish onto any part of the bench. 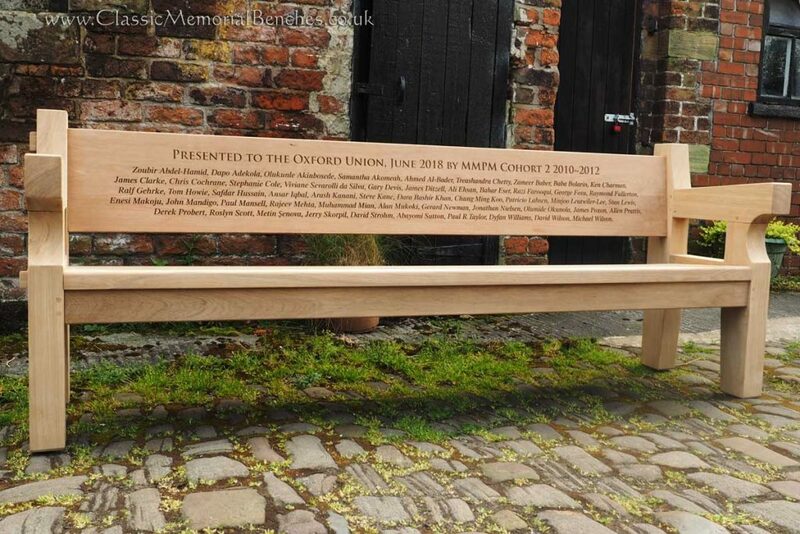 If you would like to see a photo ‘mock-up’ of how your inscription would look on one of our memorial bench designs, just give us a call or email with the details. 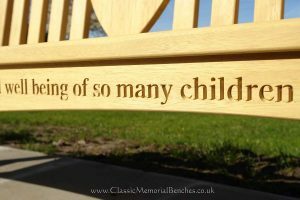 We offer this as a free, no obligation service which can be very useful in order to visualise the layout and to show family and friends what the finished job will look like. Please see the Gallery of Work page for more examples of our memorial inscriptions.